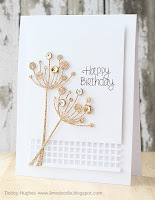 I thought I would have a go at the DT search over at the CASE study challenge blog. It was so hard to pick one personal Muse, there are so many people I look up to in the card making community. I eventually narrowed it down to cards from Wida Miller, Laurie Willison, Julie Ebersole and Debby Hughes. 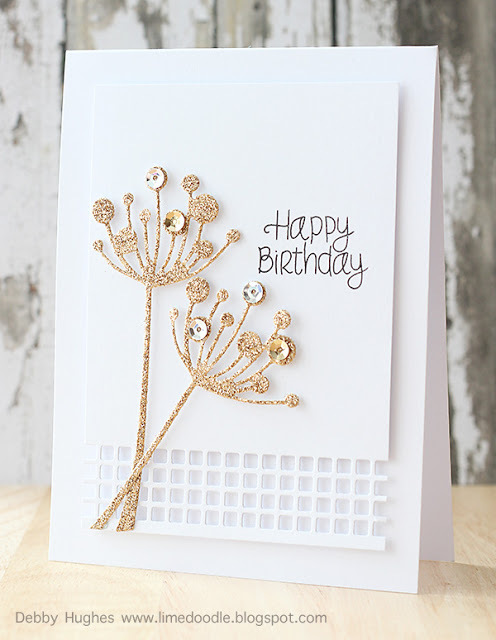 I decided to go with a card from Debby as I'm really loving the gold glitter and embossing I have been seeing around the web. The gold I used is more yellow than Debby's but I still like it. I only had matte gold sequins too but I think they still go ok. There are still a few days left to submit a card for the DT search so why not check out the details here. 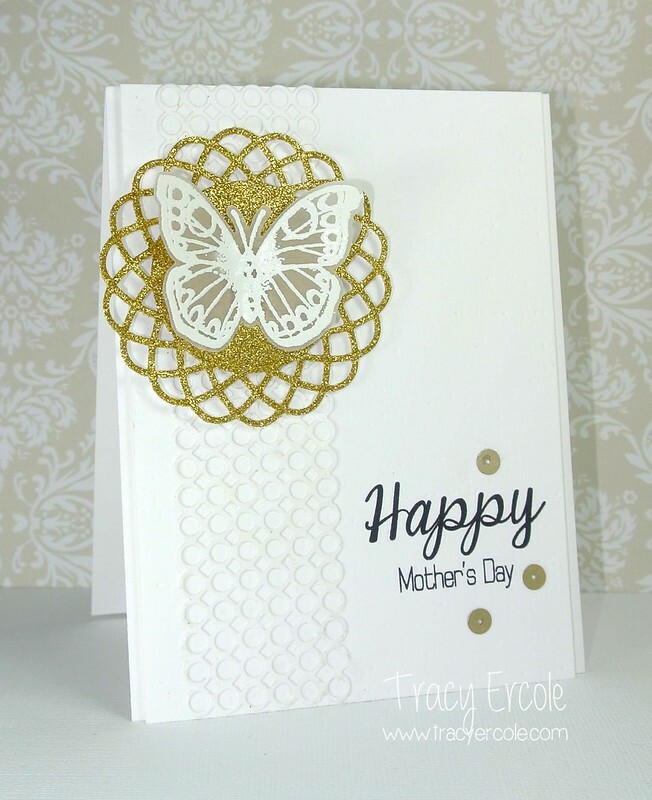 Very elegant, love the vellum butterfly!